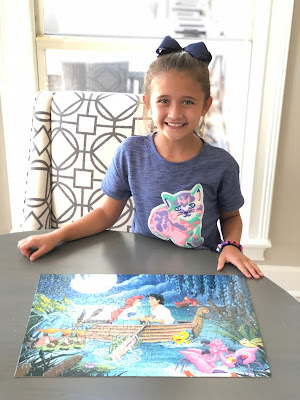 Paige has been enjoying puzzles lately, so we went out with her on Saturday and did some shopping. We decided to get a more complex puzzle with 200 pieces. On Sunday morning she sat down and worked on it for a couple hours straight and finished it. I helped a little, but she did most of it herself. We will have to get some more puzzles for her!